Our temperature measurement system is based on the Seebeck effect. The Seebeck effect happens when a junction of two different metals is exposed to a certain temperature. In the loose ends of the wires appears a difference of voltage proportional to the that temperature. Measuring the generated voltage is possible to determine the temperature which generated de effect. 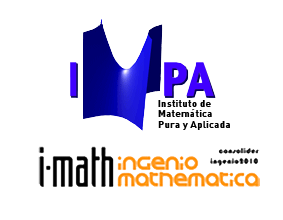 This is done by means of polynomial interpolation (compatible with the ITS-90 standard). The are several strategies to deal with this problem. The electronic acquisition system that we use is the Datalogger 34970A (Agilent). This device has the possibility to deal the already mentioned problem with two different strategies. The automatic compensation is made internally by the device, measuring the surrounding temperature of the copper junctions, with solid state sensors. This is a very simple option, but its precision is very low, and inadequate for our purpose. The fixed compensation however requires the introduction of another subsystem: an ice bath. Inside this bath, the coper wire/thermocouple confection is made. So, this is a known and fixed junction, which its temperature is introduced to the datalogger during the setup. This methods is a very precise however it has a huge inconvenient: the temperature of the bath has to be CONSTANT. In order to ensure this though the hole experiment duration, we used a sufficiently big ice mass. Also we added a drain, to expel the liquid water. In our particular case, we selected a J type thermocouple (Copper-Constantan), because one of its metals is copper already, and then there is only one extra junction in the connection. Then the practical implementation will also be easier with the selected configuration. A simple experiment was carried out with both automatic and fixed compensation: the measure of the temperature of the ice. Figure 5. Bath implementation diagram. In Figures 6, the obtained results are shown and is possible to see the error of the automatic compensation and how is worth to make an extra effort in the practical implementation. Figure 6. Automatic and fixed compensation results.